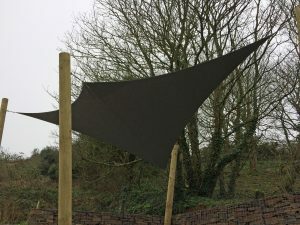 RB SAILS can consult, advice, manufacture and install all shade sail, architectural sails and decorative sail structures to suit your needs. 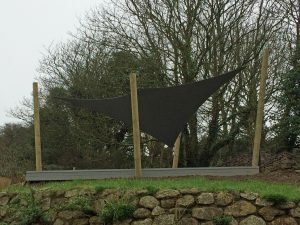 This Sail was installed at Portloe in Cornwall for a local architect. 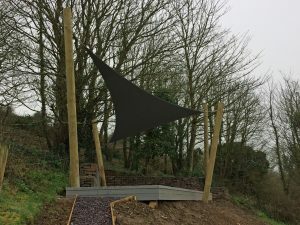 We installed the large wooden posts, and designed the sail to give a nice unintrusive view of the valley. All shackles, eyebolts, tensioning screws and fittings are marine grade stainless steel and the fabric is marine grade topgun in Grey. If you have any requirements then contact us on 01736 754659.